Jeff Tan Jeff Tan is VP Strategy at Posterscope, Dentsu Aegis Network USA and leads data, strategy and product innovation across the business. A digital native, Jeff has 12 years’ digital media experience having worked in agencies in New York, London, Sydney, Melbourne and Frankfurt. 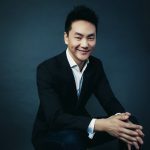 He successfully launched iProspect, Dentsu Aegis Network in Melbourne Australia, building a digital-performance agency from scratch to a market leading position in 3 years. Jeff completed an M.B.A. at Australian Graduate School of Management and is a keen musician, budding chef and marathon runner. 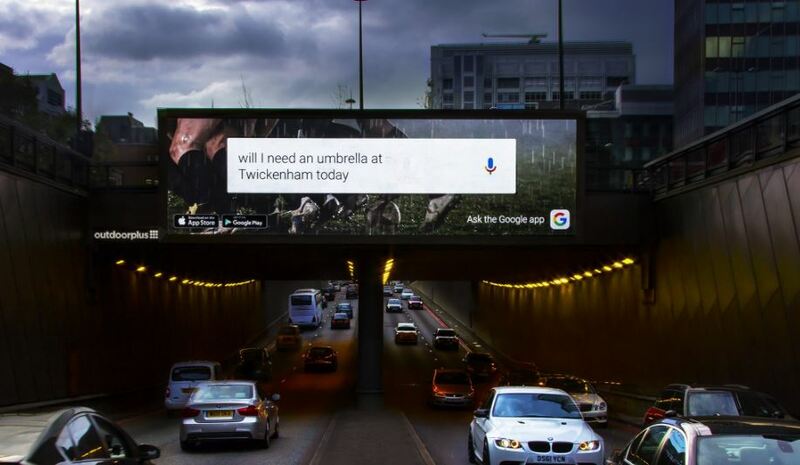 This is a four part series exploring the blurred lines between digital and OOH. The future of media buying will be increasingly automated, data-driven, and addressable as downward pressure on media buying rates mean that advertisers are expecting more for less. A shift toward data-driven automation is essential for the OOH Location-Marketing industry as it transitions to become audience- rather than demographic-focused. 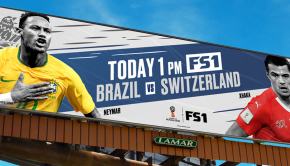 Real-time digital OOH utilizes data sets to trigger advertising on digital screens including digital billboards, street furniture, and place-based media. Utilizing Geo Audience Insights (GAI) in real-time is the future of OOH buying. Note that I hesitate to say “programmatic” OOH media. This implies an auction based, real-time bidding system, multiple data-integrated sources, one-to-one targeting, and near unlimited inventory. Real-time OOH may get closer to that one day, but will remain predominantly a one-to-many mass media. When programmatic digital was in its infancy there were concerns in the marketplace. The OOH Location-Marketing industry is facing two similar hesitations with real-time. Media Owner Hesitation: There is some hesitation in the media owner community that real-time OOH will decrease the value of digital OOH media over time leading to mass commoditization and devalued inventory. I can assure you, this will not happen. Due to the physical nature of the medium there will always be a finite supply of inventory. The economic laws of supply and demand dictate that with limited inventory, mass devaluation of advertising rates will be unlikely. Lack of Standards: As an industry we need to come together to develop consistent standards across media owner networks, buying models, delivery, and measurement. We need to do this quickly as the pace of change is rapid. We should not be afraid to collaborate; by developing working groups and sharing ideas we can progress quickly. The opportunities in real-time OOH lie in efficiencies with smarter use of data and perception changes of our industry. Smarter Use of Data: You can tell a lot about a person from the physical locations her or she regularly visits. We like to think that we’re spontaneous creatures, living life to the unpredictable max. However, the overwhelming majority of us are not spontaneous. We’re predictable. We’re creatures of habit. I take my dog Charlie for a walk to the same park each day at the same time. I catch the subway to my office in Tribeca and walk along the same streets to get there. On the weekends I hang out at a limited subset of bars, restaurants, and cafes in the city. Let’s tap into the predictable nature of human location behavior and analyze the migration patterns of our audiences. A baby formula brand targeting new moms can use mobile data to develop an understanding of which neighborhoods and streets new moms spend their time. A new mom will likely visit baby centers, nurseries, playgrounds, and toy stores regularly. Utilizing mobile carrier location data with real-time OOH allows a baby formula advertiser to display digital OOH in real-time to the geographical areas that new moms are most likely to frequent, at the times she’s likely to be there. Perception Changes: Real-time OOH (along with GAI and Dynamic Creative) has the power to change the perception of OOH Location Marketing in the minds of advertisers. Its reliance on data sets offers the opportunity to replicate targeting practices from programmatic mobile. There is an opportunity to use the same audience segments and data sets from programmatic digital and extend this to the physical world of OOH. Doing so elevates the medium, and changes perception to that of data, technology-focused and real-time. 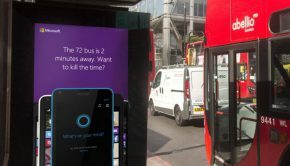 We’ve seen over this four part series that the future of OOH Location-Marketing is data and technology driven. It’s an exciting period for the industry as the digital and physical worlds collide. Consumer habits have changed, and smartphone addition is driving both challenges and opportunities for advertisers. Advertisers are demanding more from the media, and technological advances will help accelerate innovation and smart thinking in OOH. Dynamic content in OOH will become the no-brainer-standard for digital OOH, as smart marketers understand the effectiveness of displaying relevant, contextualized content based on a consumer’s mindset and location. Finally, real-time digital OOH can extend GAI from planning to buying-activation, using digital data sets. 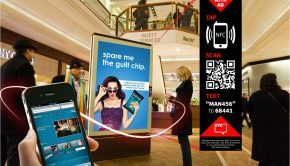 The future of OOH Location Marketing will be digital. Will you be ready for it?